TORONTO, ON – APRIL 10, 2019 – What do you think the car of the future will look like? And what will it do? Will it be more than a means to travel from “Here” the “There”? 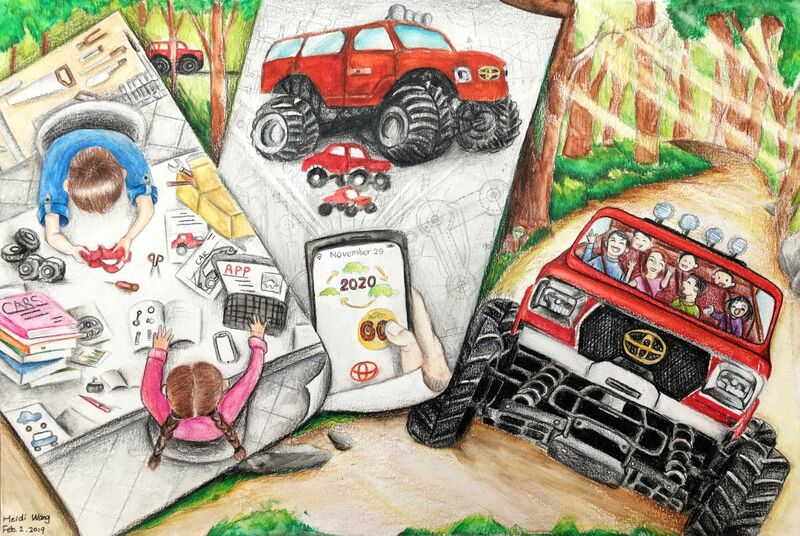 Young Canadians certainly think so – and they shared their visions for the future in the 2019 Toyota Dream Car Art Contest. 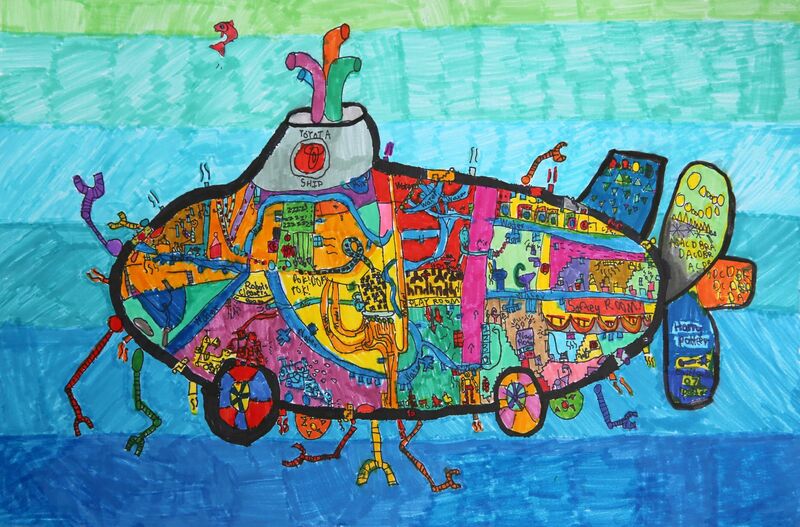 Canadians up to 15 years of age were invited to share their dreams for the vehicle of the future – and have a chance to win a trip to Japan for the final awards ceremony – as part of the 2019 Toyota Dream Car Art Contest. 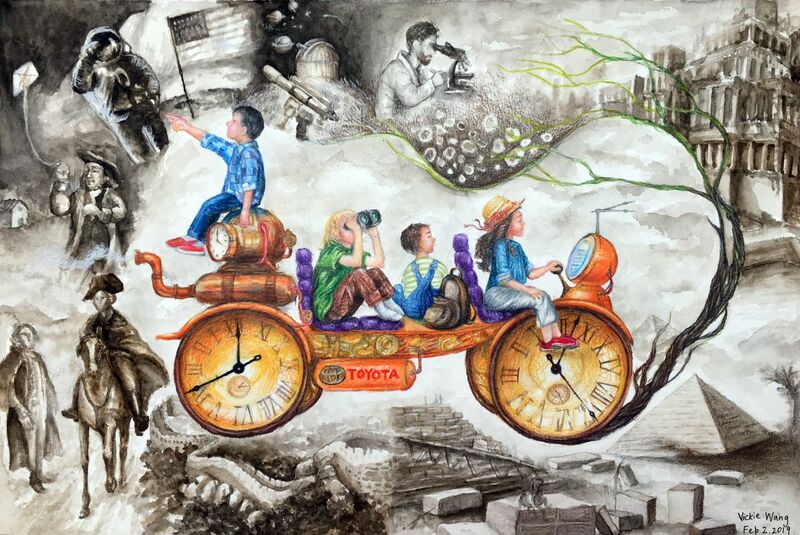 First held in 2004 and now one of the world’s largest global art contests for children, the Toyota Dream Car Art contest invites future artists, designers and engineers to share their ideas about the future of mobility. Judging this contest was tougher than I ever expected. All the entries showed a remarkable display of innovative thinking as well as artistic and creative design. A difficult task to pick the best of the bunch, but wonderful to see so many talented and inventive kids across Canada! I came across beautiful pieces within all age categories. Some were full of poetry, others expressed a genuine care for our future. I am truly impressed by the amount of talent and creativity, but also of hope and lucidity. I can see that all these kids have put a lot of love and care into their artwork. 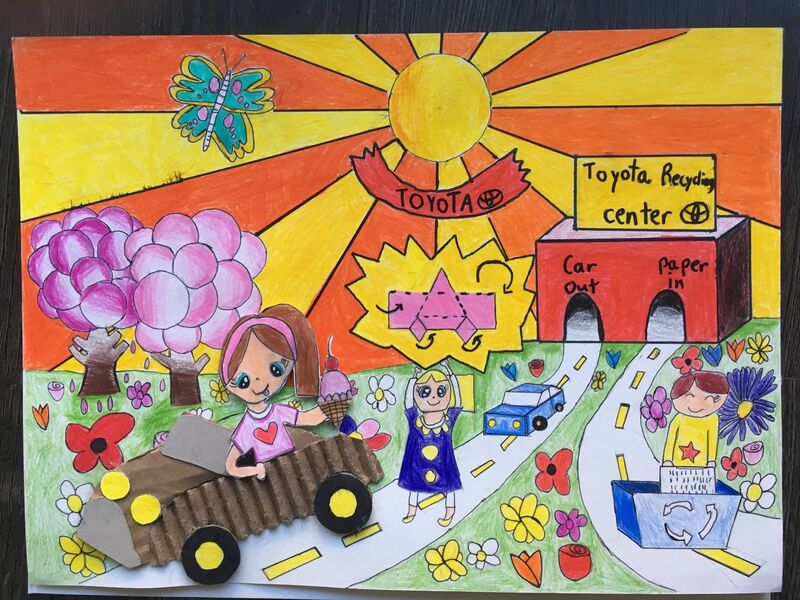 It’s great that Toyota gives them a voice with this art contest. It was a real honour to be part of it as a judge! I was very impressed with the imagination shown this year. Protecting animals and the environment were popular themes, but standout art pieces really explored the spirit of dreams and what our future may hold. Three finalists were chosen in each of three age categories: Under 8, 8 to 11, and 12 to 15. The finalists are listed here by category, in alphabetical order by last name. Jacob Gaochen (age 6, Markham, ON). 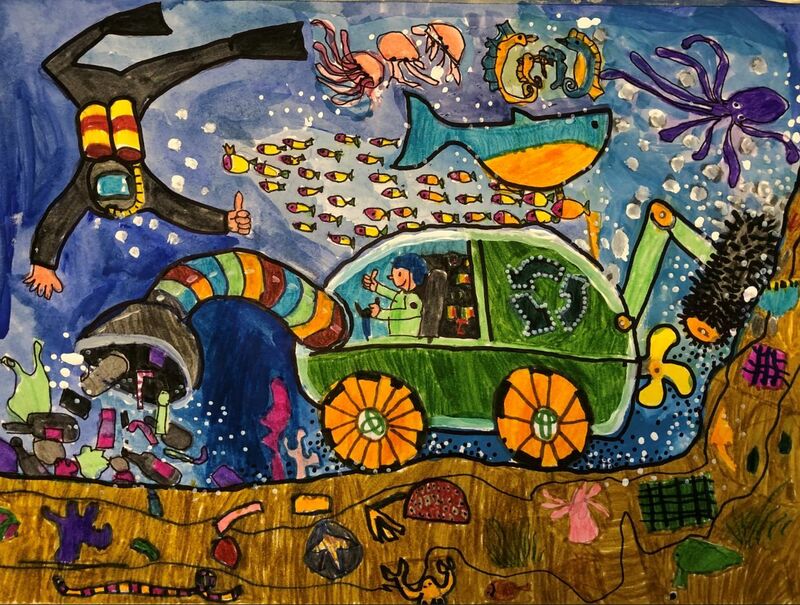 Jacob’s “Recycling Submarine Car” cleans the air when it’s on land – but can also convert into a submarine to collect garbage and microplastics from the ocean and convert them into useful materials. Abraham Pramanik (age 7, Toronto, ON). Abraham’s entry – “My Rain Car” – helps deliver water to people in countries where there isn’t enough. It has a big tank and a hose, and includes a radar to tell him where water is needed. Emily Vo (age 7, Burnaby, BC). Emily’s “Recycled Paper Car” is made from recycled paper to help keep trash from landfill and reduce pollution. Parking is never a problem, since the car folds up to be carried anywhere. 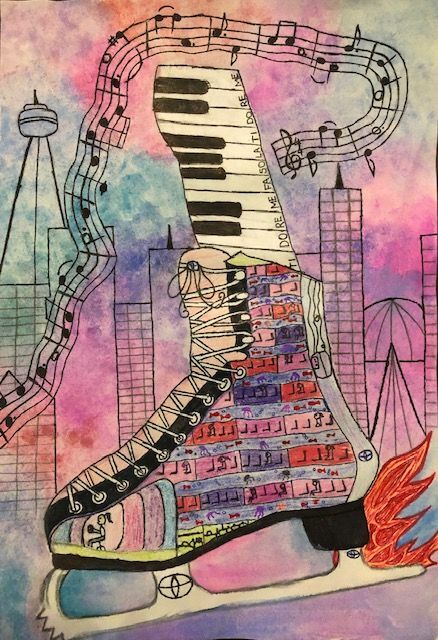 Tara Ganipur (age 8, Waterloo, ON). Tara’s “Karamarine” runs on land, sea and air. Kara means “land” in Turkish, which Tara speaks. Her fish-shaped car would not pollute the earth. Esha Kumar (age 11, Mississauga, ON). Esha’s “G Sharp – Symphony on Ice” entry is a magical and musical ride. It features a floating aquarium and sweet melodies, and entertains the world around it as it glides down the street. Owen McClay (age 9, Calgary, AB). Owen’s entry – “The Sea Wiper” – is an underwater vehicle that cleans up plastic and uses it as fuel. It includes a hose in the front and a brush at the back to give the oceans a good scrub. Ethan Fang (age 14, Vancouver, BC). 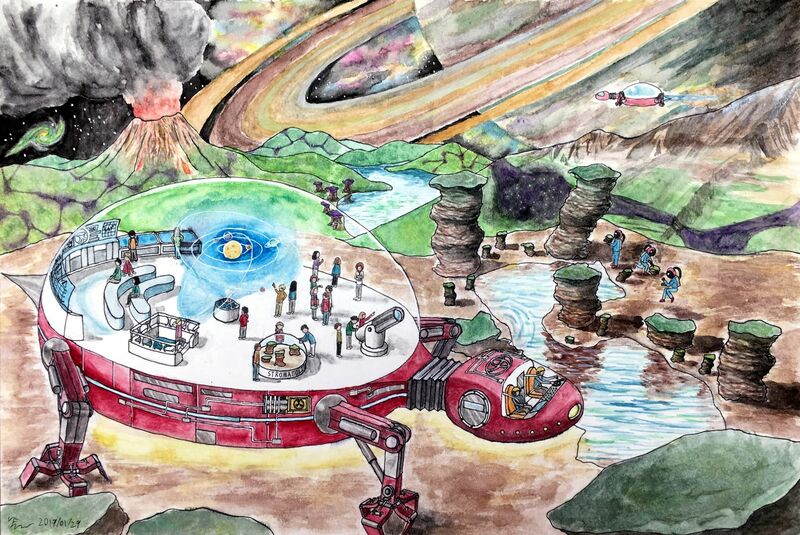 Ethan’s entry – “Prometheus” – is a turtle-shaped car that can take students to space. It has great versatility in any extreme environment. Heidi Wang (age 14, Surrey, BC). Heidi’s “Toyocar” is a car that people can assemble to meet their own needs. It also can be shrunk to the size of a toy, using an app, which saves parking spaces. Vickie Wang (age 13, Vancouver, BC). 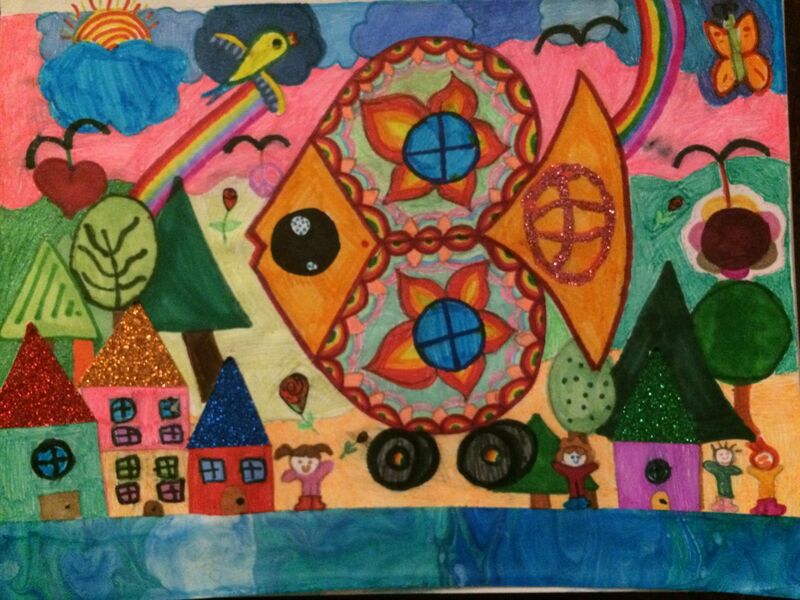 Vickie’s entry – “Time Traveller” – is built on clockwork wheels and fuelled by the ten enchantments of the winding timeline tree. It allows people to rewind time, to learn from the past and experience historic milestones. The finalists will each receive a $250 online retail gift card, plus the chance to win an all-expenses-paid trip to Japan for themselves and a legal guardian, to vie for a global award. This year’s contest launched on November 23, 2018 and ran until February 18, 2019. 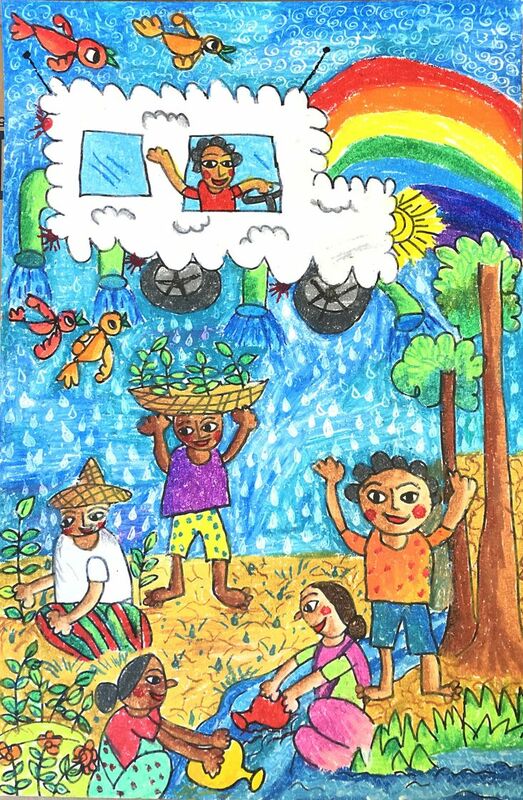 More than 200 children took part in this year’s contest, creating submissions with a variety of traditional media – such as paint, markers and crayons.